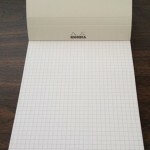 There has been a lot of online buzz around the new Rhodia Ice notepad, and I have to say I was also swept up in the excitement. 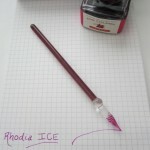 When Margana the Inkophile recently hosted a giveaway for the Ice, I jumped at the chance to win one. Luckily, I did! 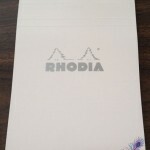 Cover: The cover is simple, pure white, with a metallic silver Rhodia logo. For me, it’s very calming. 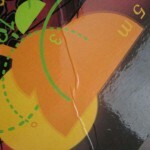 It is stapled at the top and has a few creases to fold back the cover for writing. I’m a huge fan of the white/silver cover, my decor involves those colors much more than orange and black. Size: My Ice is a No. 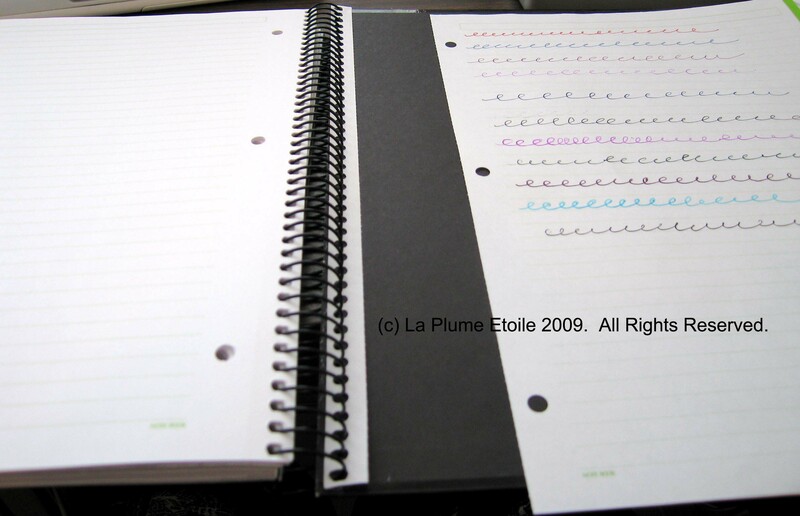 16 notebook, which measures 5.8″ x 8.3.” However, the Ice is also available in No. 11, 12, 13, 16, and 18 sizes. 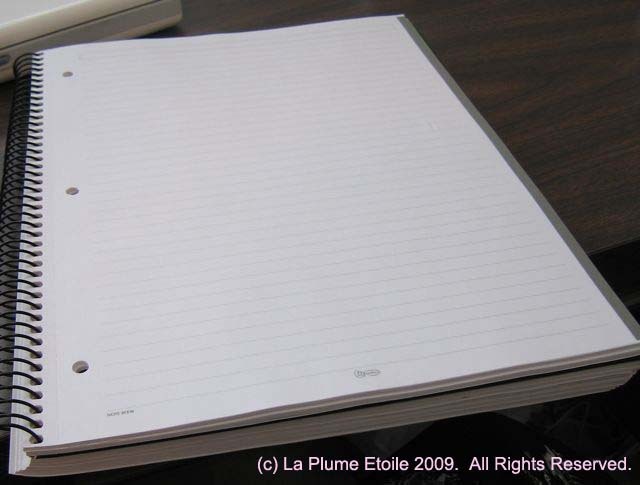 Paper: The notebook has 80 sheets of High Grade Vellum Paper. 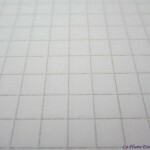 I was given the graph paper with 5×5 mm squares. 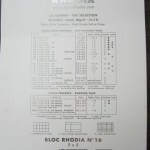 The lines are a light grey, which makes them less obvious than regular Rhodia pads — a plus in my opinion. However, I did notice that the paper in the Orange/Black pads is a brighter white than the Ice, something that might have been nice to carry over. 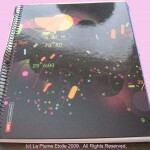 The notebook is also available in a lined version in addition to the graph paper. 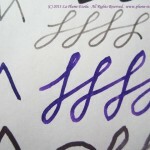 My personal preference is lined, so next time I would definitely like to get one of those. 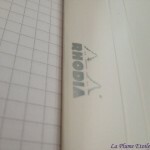 The paper is exactly what you would expect in a Rhodia pad — smooth and very fountain pen friendly. 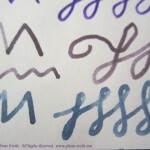 All inks show up well and shade beautifully with minimal to no feathering. 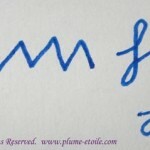 In addition, there is no bleedthrough and very minimal showthrough so that both sides of the page can be used. 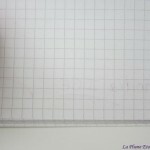 There is a tiny perforation line at the top of each page to tear out that page neatly as well. 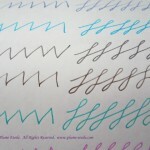 Overall: Another great product that I will happily use and highly recommend. 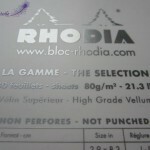 You can’t go wrong with anything from Rhodia, anything distributed by Exaclair, or anything with Clairfontaine paper. The fact that there is a white and silver cover available in addition to the classic black and orange makes me even happier. I’m grateful for the opportunity to have such an attractive pad that is a pleasure to use, and grateful that a wonderful company makes them. The No. 16 Ice is available on Amazon here (grid) and here (lined), or you can also check a list of online pen retailers that stock it here. 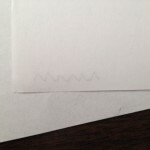 In my last post about Step Forward Paper, I somehow forgot to discuss show through and bleed through. Unfortunately, I disposed of my sample paper so I cannot use the same sample for comparison. From my memory, there was very minimal show through. 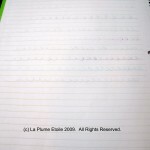 I do not recall any bleed through, and if there was it was minimal and only on the very wet and thick black ink. 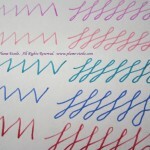 The concern for many is writing on both sides of the paper, and my recommendation is that YES, one can definitely write on both sides of Step Forward Paper with a fountain pen. 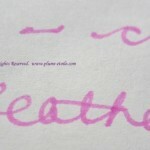 I did a quick test below with Sheaffer Black ink in a vintage fine point Lady Sheaffer. Back of writing sample with white paper underneath SFP. 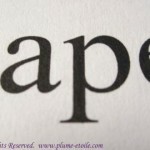 I’m happy to bring you a review of Step Forward Paper (hereinafer “SFP”). SFP is white printer and copy paper made from 80% wheat-straw waste. 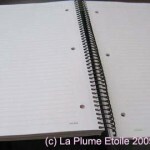 The paper is made by Canadian company, Prairie Pulp & Paper, Inc. The company is co-owned by actor Woody Harrelson and his partner Jeff Golfman. The company states that their wheat-straw paper supports farmers with new revenue streams and is lower in environmental impact than 100% recycled tree paper. The company also donates 1% of sales to eco-systems, habitat, and children’s education charities. I’ve been working on this review for quite a while because I wanted to test a variety of inks on the paper. I’m very excited about this product for two reasons: (1) it’s positive impact on the environment and (2) it is VERY fountain pen friendly. 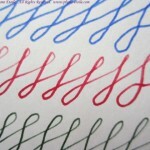 As most fountain pen users know, most copy and print paper is not fountain pen friendly. I feel this brand will be a great asset for those who like plain white paper for correspondence and to showcase their ink collections. The paper I tested is 92 brightness, 21lb/80 gsm, and 8.5″ x 11″/21.6cm x 27.9 cm. I usually use HammerMill Multipurpose Paper (hereinafter “HMMP”) from Staples, so I will be basing my comparison of SFP to “normal” paper — also known as HMMP. For reference, HMMP is 92 brightness and 20lb. Feel, Weight, and Thickness: SFP has a slight texture and is fairly smooth to the touch, but not quite as smooth HMMP. SFP also feels to be slightly lighter in weight and thinner than HMMP, which is strange because SFP is actually slightly heavier than HMMP according to the specifications of both papers. If someone just picked up one sheet of each paper without knowing the brands or specifications of either, one might say SFP feels “cheaper” because of the texture and weight. 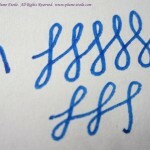 However, as I am about to describe, one that loves fountain pens will rejoice when testing SFP. 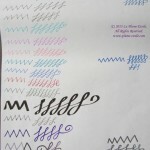 Fountain Pen Performance: As shown in the photos, I tested 19 different inks from several different brands. I personally found the results astonishing as EVERY ink performed well on SFP. I noted the pens and nib sizes where I could remember them, but note that there were a variety of different nib options used to model the variety in the average fountain pen user’s collection. 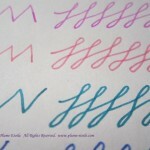 The ink colors were all fairly vibrant. 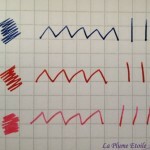 Iroshizuku Ku-Jaku did not shade as much as in tests on Clairefontaine or other premium paper, but otherwise all inks performed as is normal for those inks. 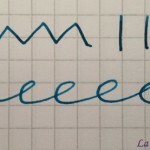 The Pilot Parallel test was even more surprising because the Parallel ink was extremely wet and has feathered greatly on most papers I have used, especially HMMP. 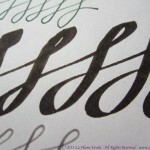 The Brause dip nib tests were also surprising as no feathering occurred even though those inks were also very wet from water mixed with the ink after rinsing the nib. 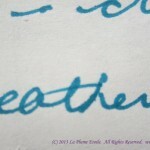 Private Reserve DC Supershow Blue is also a very wet ink with a long dry time, however, it also performed well and dried quickly on SFP. A scan of all the FP/ink tests. Furthermore, despite SFP feeling slightly less smooth than HMMP, it was not fibrous and I was not concerned with any paper fibers getting caught in any of my fountain pen nibs. 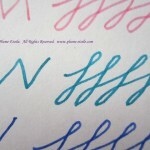 Even the fine and more fragile vintage nibs glided over the paper without catching or accumulating fibers. 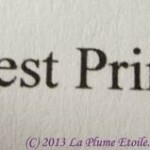 Printing Performance: As shown below, I also tested the print quality of SFP. 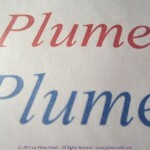 These print tests were done on an HP OfficeJet Pro 8600 Plus. Both the large and small black text performed exactly as one would expect from printer paper, and exactly the same as HMMP. 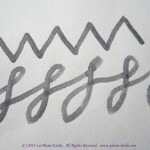 The black lines were crisp and there is strong contrast of the black ink on the white paper. However, SFP was disappointing when printing in color, especially after the grand performance with colored fountain pen ink. The printed color was matte and muted. 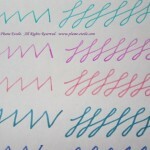 One can still tell what the colors are, but they lack vibrancy. 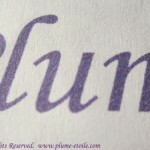 Purple Ink — notice the inconsistency througout the color and it’s overall muted tone. 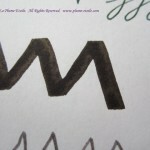 Notice the sharpness and contrast with the black ink. 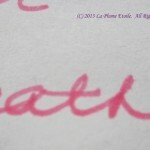 In this shot you can really see the texture of the paper and also how the ink attaches to it. 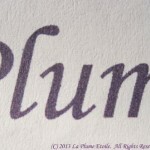 Eggplant – matte and muted. Overall: Overall, this is fantastic paper and I love the company’s principles. I definitely recommend supporting this company and using their paper! 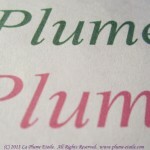 While the color printing was slightly disappointing, the black ink printing was great. One could predominately use SFP for most printing and swap out some regular paper when vibrant color printing is desired. 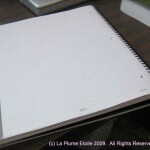 Using this paper all the time is also ideal because of the benefit to the environment. 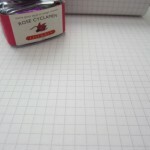 Of most interest to fountain pen users, it is wonderful to finally find a plain white printer paper that actually behaves well with fountain pens! At the very least, I will keep enough stock on hand to use for written correspondence. Where to Buy: Step Forward Paper is available throughout the United States and Canada at Staples stores. In my region, a 5,000 sheet/case box is $57.99 and a 500 sheet ream is currently on sale for $6.99 (regular $9.99). You can get a $10 coupon to buy SFP through Staples here. The ream is also available on Amazon for $16.99. 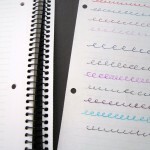 Visit Step Forward Paper‘s website to learn more and you can register for a free sample of SFP! UPDATE 12/6/13: I have received correspondence from SFP’s owner Jeff Golfman. They are aware of the problems I mentioned in this review (like lack of vibrancy when printing in color) and the company will be releasing new and improved SFP in 2014. 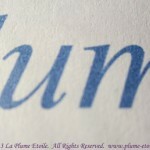 They will be sending me a sample to review, so stay tuned to La Plume Etoile for further updates SFP’s new and improved product. Be sure to subscribe to the RSS feed so that you don’t miss it! 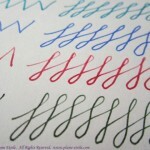 I just found this amazing Tumblr site called Letterheady. The site features scans of a large collection of letterhead, all from famous actors, musicians, companies, etc. They even have Gandhi’s letterhead from his attorney days in 1903! It’s definitely worth checking out. I received a wonderful package from Daycraft in the mail today with some more products that I will be reviewing shortly. Here is a quick preview with full reviews forthcoming. 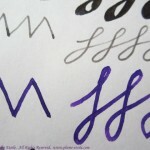 Vogue 2012 Diary: I reviewed the 2011 version previously. You can read that review here. I love the cover on this and am happy to be using it in 2012. Gutenberg Notebook: You have a choice between a white or black cover and Bible or Times New Roman font. 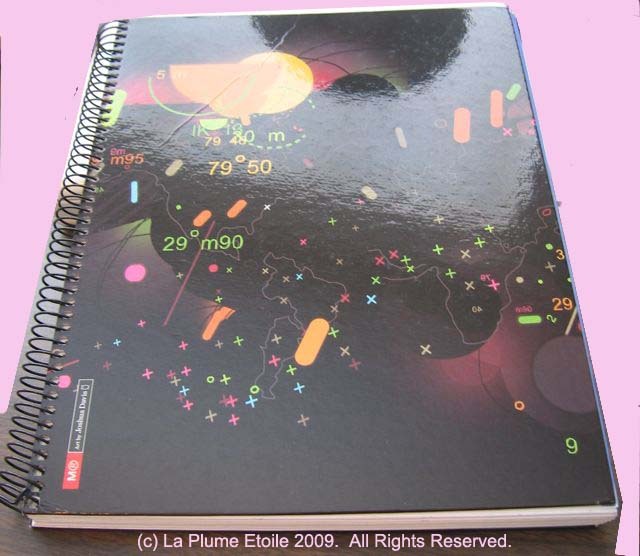 Astrology Notebook: Each astrology sign features Swarovski crystals and the notebook comes in a gift box. Slab: I chose gold, which looks like a real slab of gold. So cool! I’m looking forward to sharing more details with you! I apologize for taking so long to post another review, but other things have occupied my life recently and I haven’t been able to post. I will be back posting regularly again soon. I have many great items waiting to be reviewed and I am excited to let you know about my experiences with them. I apologize to those who are waiting to see product reviews and I promise I will get to them as soon as I can. For now, I want to tell you about a GREAT notebook I have been using. 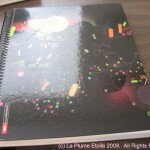 It is a spiral bound notebook designed by Joshua Davis for Miquelruis and can be found here. 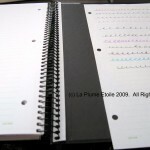 I have covered what I think are the most important categories for a notebook, but please let me know if there is another aspect you would like to know about that I have not covered here. The Company: Miquelruis is located in Barcelona, Spain and has been in business for 150 years. The company started making cards, bindings and accounting books. Now it carries notebooks, pads and various other accessories; as well as offering collections by several guest designers. 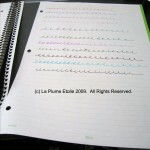 As of yet, I have only tried the notebook featured in this review, however I have a few more of them to test. If the others follow suit to my experience with this notebook, Miquelruis’ products arer going to be some of my favorite. 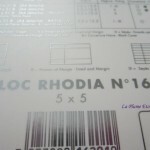 For more on the Miquelruis and to view the product catalogue, visit http://www.miquelrius.com/eng/portada. 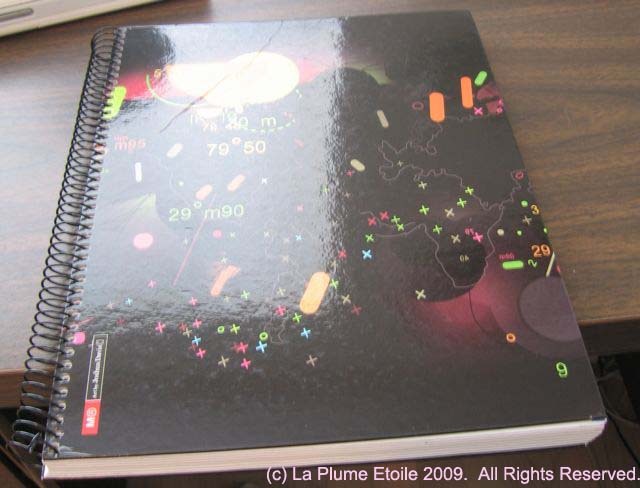 The Cover: As described on the Miquelruis website, the cover is “note book (sic) card covered with printed paper laminated in plastic.” The plastic is shiny and looks nice. 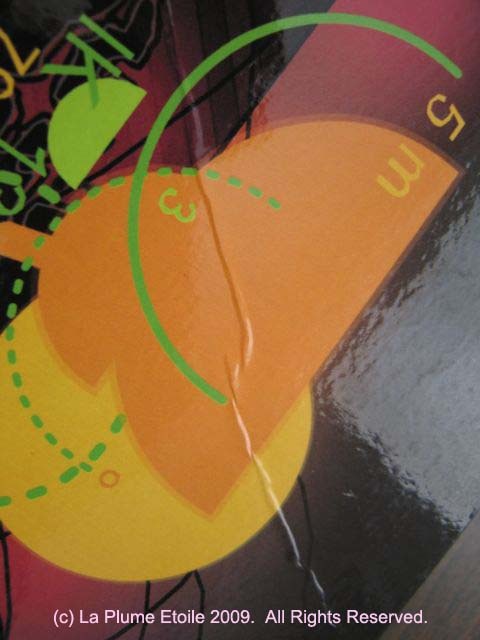 The plastic on the corner of mine is slightly creased, like when you try to lay contact paper on a shelf and you get a line instead of it laying completely smooth. I have the “Maps” cover, which is mostly black with some splashes of color. It has a good contrast of brightness against dark, without being too flashy. It also comes in several other cover choices, which should suit a variety of tastes. 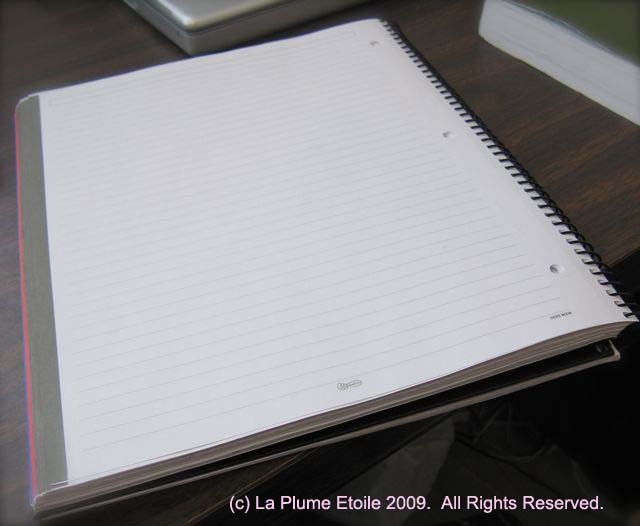 The hard cover also makes it easy to write while resting the notebook on one’s lap instead of a desk. 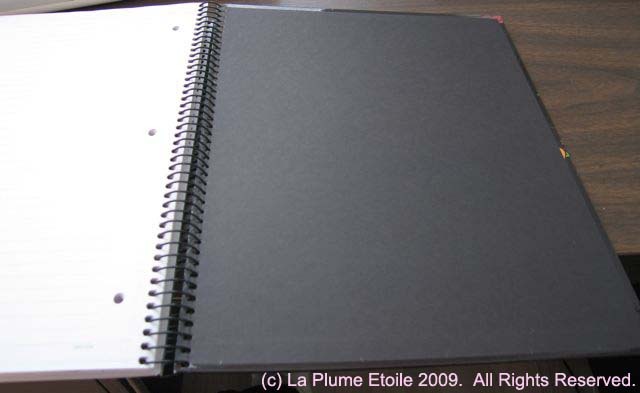 Size: I have notebook model A4, which is 9 x 11 in. (210 x 297 mm). It may be too big for some as a normal journal, but is also too nice for messy note-taking. I suggest picking a particular purpose for a great notebook like this. 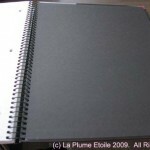 Binding: As mentioned, this is a sprial bound notebook. 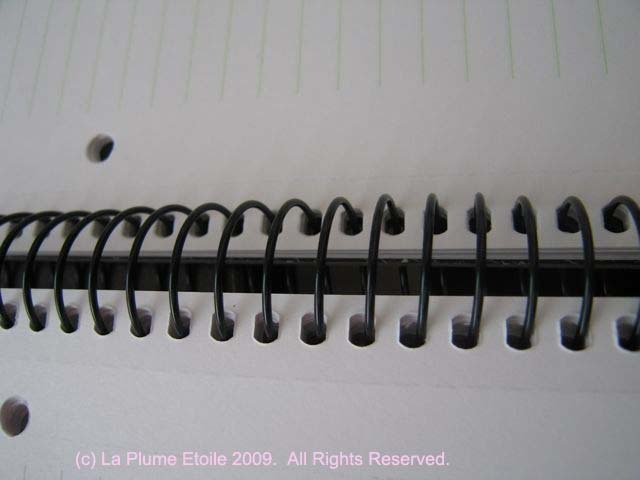 I was never a huge fan of spiral bindings because: sometimes the pages do not properly fold back around the spiral; the spiral unravels, catching on clothing or stabbing me; or the spiral gets in the way when I’m writing. 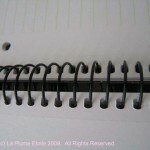 However, I was very impressed with the spiral binding on this notebook. 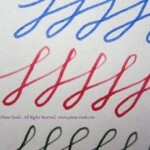 Each page folded back around the spiral without getting stuck around the spiral’s curve. 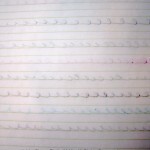 It did not unravel, which means no catching or stabbing, and the spiral did not get in the way when I was writing. 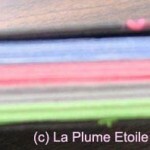 Paper: The paper is 70 gram with 5mm ruling. 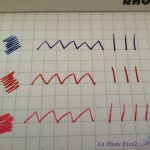 The paper is divided into four sections, each section with a different color border and ruling. 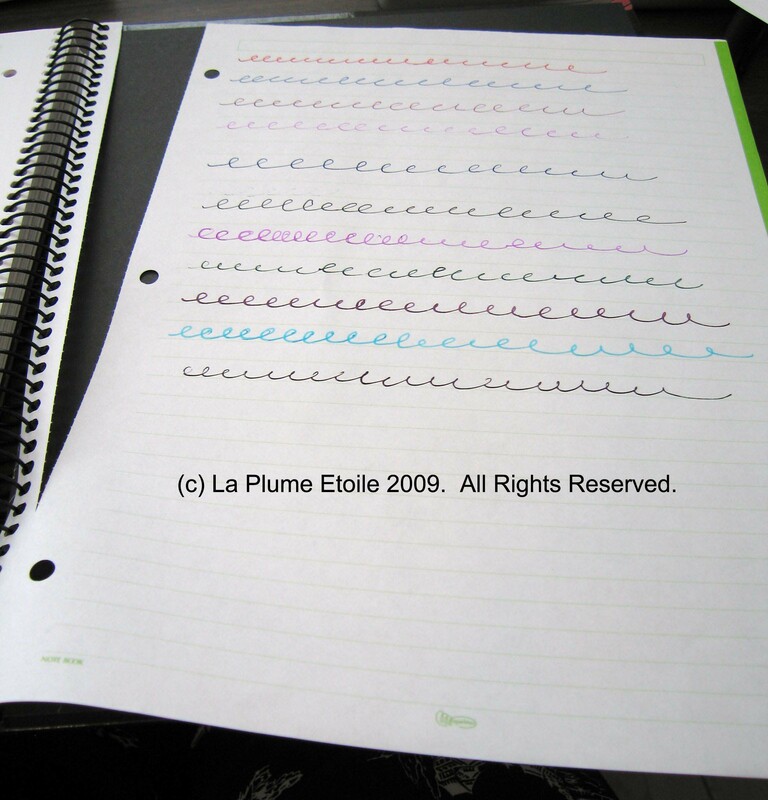 My notebook has 35 sheets each of blue, red, grey and bright green, for a total of 280 pages. This is great for separating subjects, as well as matching or contrasting with ink colors. 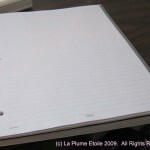 The paper is smooth and is great on which to write. 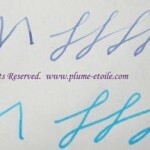 It is not glassy like Clairefontaine paper, but is also a really pleasurable writing experience. 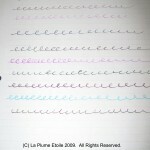 There were a few waxy spots where the ink would not properly adhere to the paper, but this was only on several pages. I imagine this is not a recurring or common problem. 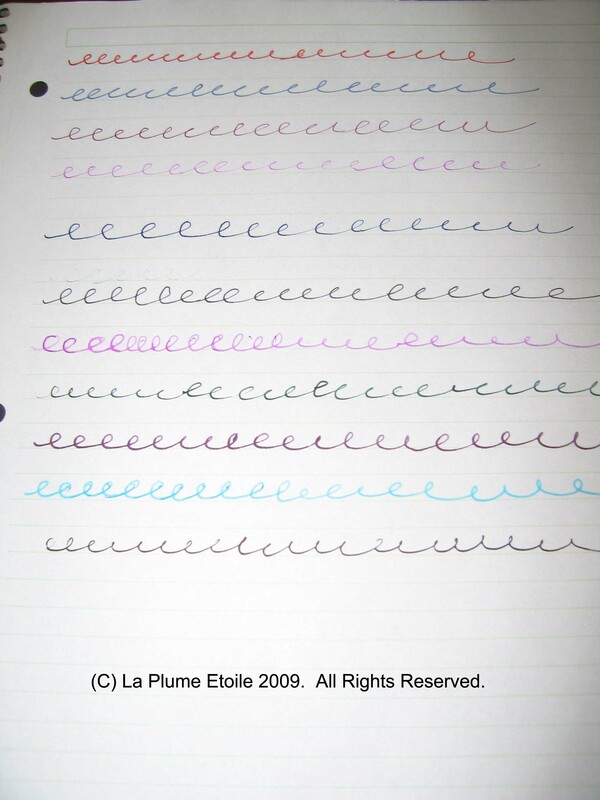 The best thing about this paper is that there is very minimal bleed-through. 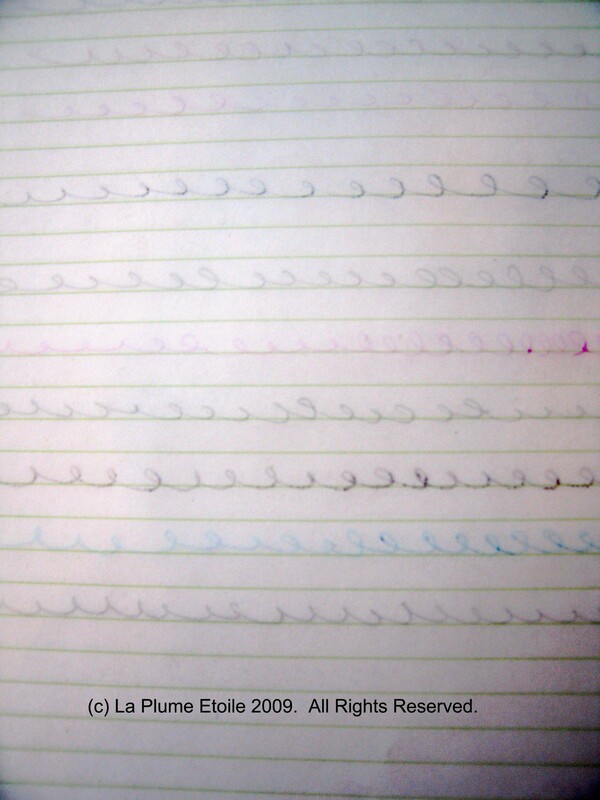 For some reason, it shows up more on the picture below than what I actually experienced when writing in the notebook. I used a variety of inks on this paper, including dark and saturated inks like Private Reserve’s DC Supershow Blue, and there was still no bleed-through. 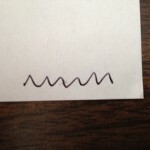 I could see that there was writing on the other side, but could neither read the writing nor see the ink color. 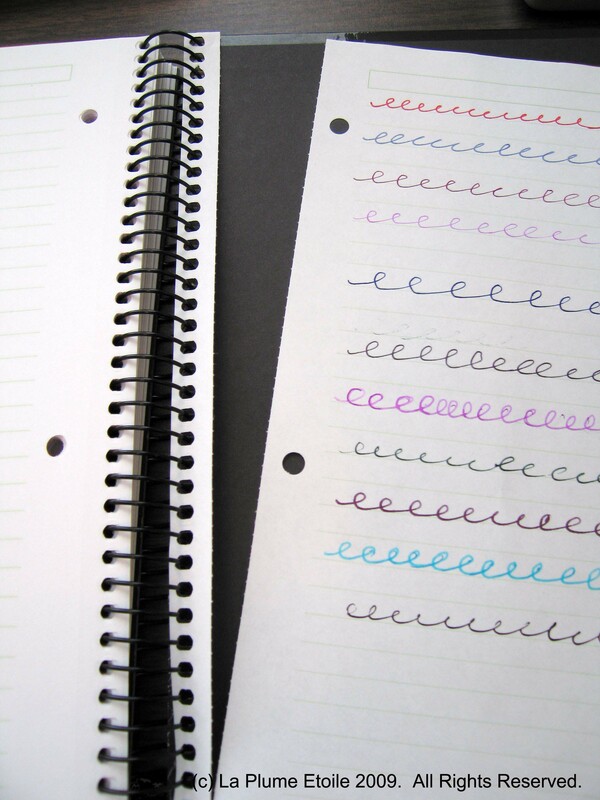 The fact that the ink did not bleed through the paper made writing on the reverse side of pages almost as pleasurable as starting a fresh sheet. 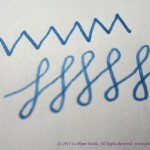 The DC Supershow Blue did take a long time to dry on this paper, but all other inks had normal drying time. Overall: I love this notebook! I am really happy with it and have enjoyed using it. I definitely want to use more of these notebooks in the future.